With the number of vehicles increasing on roads this step is being seen by the lawmakers as an effort to reduce traffic jams on roads. 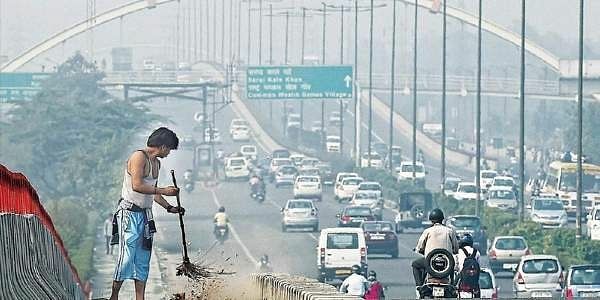 NEW DELHI: With significant increase in traffic congestion due to vehicles plying on roads across the metro cities in India, the Central government is mulling over a toll system charged when the vehicle enters congested areas. The standing committee on urban development in a suggestion to the Urban Development Ministry has said to conduct Electronic road pricing (ERP) system and introduce pre-paid cards on pilot basis and study the results. "The committee recommends the Ministry to conduct pilot studies for 'electronic road pricing (ERP)' system for reducing traffic in highly congested areas of metropolitan and other big cities," the standing committee on urban development said in its report 'Demand for Grants (2017-2018)'. The report further said the parking charges should be commensurate with the facilities available at the parking sites and also according to the congestion level in that area. According to officials Ministry is yet to study the recommendations made by the panel. The system has been adopted by Singapore, which adopted ERP in 1998, making it the first country in the world to implement electronic toll collection to manage traffic.